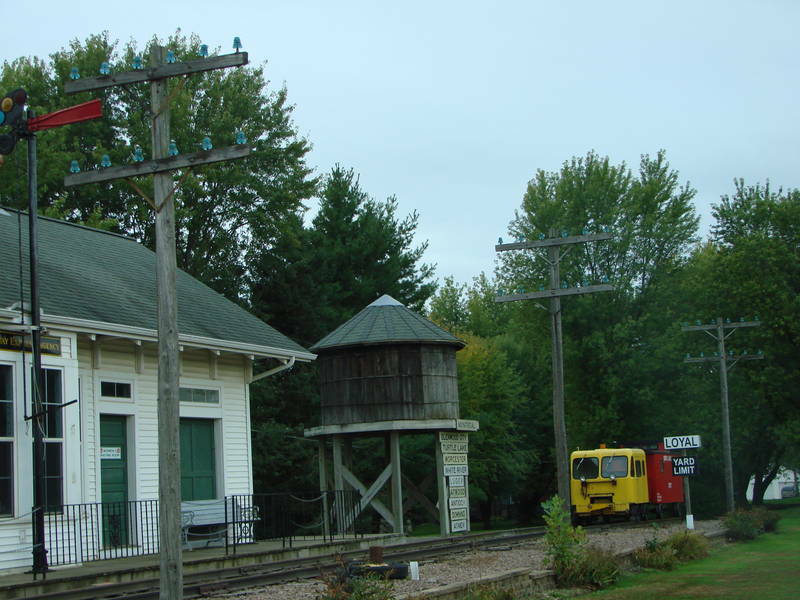 Aumann Train Museum displays in Loyal, Wisconsin. . . . A closer picture of the telegraph poles.